Top Five Best Cheap Compact Cameras For 2019 - Which? We round up the top-scoring compact cameras costing less than £200 to help you find the perfect cheap camera to suit your needs. A cheap compact camera can be an inexpensive way to capture happy snaps, record impromptu videos or zoom in on distant landmarks. However, it's worth finding a model that not only takes great shots, but is simple to use, too. There isn't much difference when it comes to the shape and size of compact cameras, but selecting the right model is dependent on what you want to do with the camera. 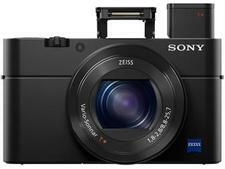 We've selected five of the best compact cameras available for less than £200 in 2019 in the table below, from models with a large optical zoom to waterproof and lightweight cameras. These top-performing cheap compact cameras we've tested at Which? can give their more expensive rivals a run for their money. If you're looking for a fantastic point-and-shoot model that won't break the bank but still takes great pictures, you'll find the best models listed here. Additionally, it's worth knowing which compact cameras to avoid. As a result, we've highlighted some Don't Buys you should steer clear of. A fantastic and simple camera to use, this ranks up there with some of the best we've tested. It scores well for both photo and video quality, with photos proving detailed with good colours. Overall, a great camera at a bargain price. This is a first-class camera, with a fantastic zoom, that takes great photos in just about any situation. Its electronic viewfinder, manual controls and multifunction ring make it a better choice for creative photographers than most competitors, and it's still great to use. This is a fantastic little camera; it's very small, so it feels light in your pocket, plus the photo and video quality isn't compromised by its diminutive size. It's the kind of camera you can carry with you to take all types of photos. A solid camera all-round, its 20x zoom allows you to pick out distant landmarks with relative ease and, at 164g, it's surprisingly lightweight to hold. It's certainly worth considering if you're shopping for a compact camera on a strict budget. 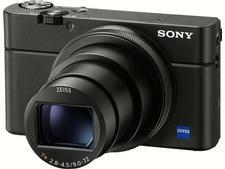 At around only £100, this camera is a great budget option. It takes pretty good photos in typical lighting, and is excellent at keeping your shots blur-free. Low-light picture quality is only average, as is the flash - but the 10x optical zoom is great for shooting distant landmarks. At around only £100, it's a great budget option. Pricing, recommendations and test scores correct at February 2019. Not found the right product for you? 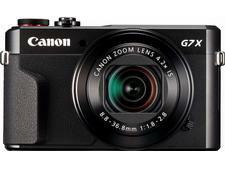 Browse all our compact camera reviews. The worst compact cameras from our testing not only take terrible-quality photos and video, but they're cumbersome to use and have limited features. We've seen compact models with flimsy and easily breakable camera bodies, tiny and fuzzy LCD screens for framing or reviewing shots, and snail-like shutter speeds. Make sure you don't waste your money on sub-par cameras. This model ranks well below other cameras we've tested and we recommend giving it a wide berth. It's a Don't Buy camera; the overall image and video quality are both below average and the image stabilisation performs poorly. This Don’t Buy camera is not worth your money; don't be tempted by the cheap price and take a look at some of the other waterproof cameras we've tested to document your next holiday by the sea. This isn't just a poor camera – it's so terrible we've declared it a Don't Buy. From the disappointing pictures and videos to the sub-par build quality and battery life — it's basically unusable. We'd recommend you spend your money on another camera. Choosing a compact camera can be easy, as long as you know what you're looking for. Camera specifications are typically an excellent indicator of how a camera will perform in different shooting scenarios, and here are just some of the key criteria worth keeping in mind before you select your next camera. Megapixels (Mp) - Even a 5Mp camera can produce good prints at 4x6, 5x7 or 9x10 inches, which are the kind that easily fit in a photo frame. Most cheap digital cameras offer at least 12Mp, but it's worth considering models around the 18-20Mp mark. Zoom - Digital zoom enlarges the pixels in an image after it has been taken. With optical zoom, a camera’s lens magnifies an image for much sharper results – 5x optical zoom is the minimum acceptable standard, but the best models offer 12x zoom and above. Build quality - Some digital cameras may be pocket-sized and lightweight, but you shouldn’t have to settle for one that feels flimsy. Be sure to choose a camera with a metal or high-density plastic casing. Also, be sure to also look for solid, well-placed buttons, so the camera is easy to use one-handed. Image stabilisation - This helps reduce any blurriness in photos that’s caused by shaky camera movement. The best cheap digital cameras will produce sharp images regardless of how difficult they were to capture. Wireless - Some digital cameras now offer wi-fi or Bluetooth for wirelessly transferring photos to your mobile phone or tablet. Most manufacturers now offer free apps to help with this process; some even allow you to use your phone as a remote control or geotag your shots with location information (so you don't have to remember where you took the photo).